Have you heard about the SM Supermalls App? We have tried using for quite some time and we think it's very convincing. Check out our review here! Leading Philippine retail giant, SM, has rolled out its app positioned to be an all-in-one guide in optimizing mall experience. For what it’s worth, it shapes up to be an essential tool for mall rats and shopping gurus. The app, now available in both Android and iOS platforms, complements the upcoming holiday shopping season. So, should you need this app on your smartphone's homescreen? Stay with us as we take a good look at this new lifestyle tool. What’s with the SM Supermalls App? 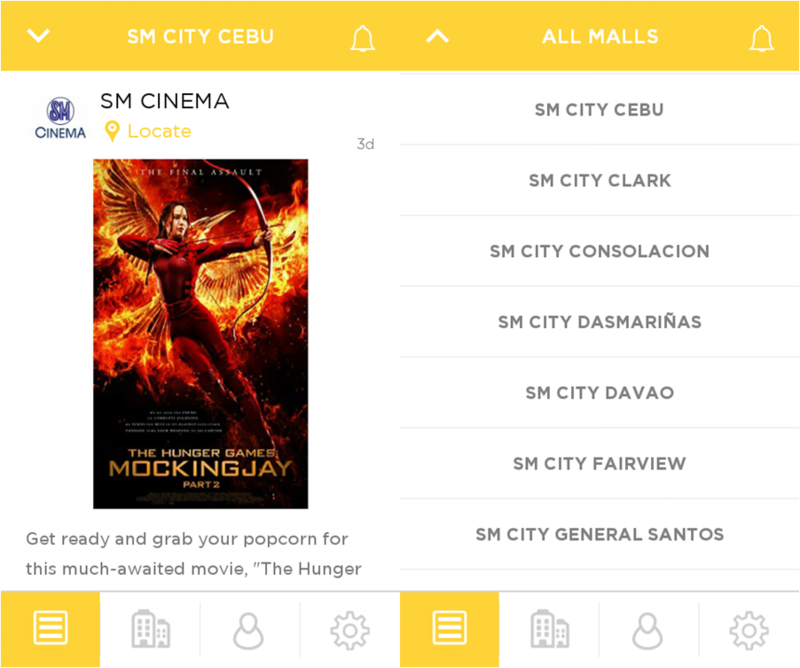 On paper, there are lots of things that you can do with the SM Supermalls App. For one, SM promises to give you exclusive access to promos, deals, coupons and updates once you sign-up with the app. It also offers indoor navigation wherein users can easily find restaurants, view stores and even find a parking spot. The app also allows users to reserve seats and buy tickets for SM Cinemas. The SM Supermalls app is very intuitive. Pulling it up brings you to a welcome page wherein you will be prompted to sign-in or continue as guest. Of course, you need to sign-up to enjoy full access of the app. After doing so, the app allows you to choose your desired SM Mall. Alternately, you can also locate the nearest mall within your vicinity. The app is fast. I love how simple it registers to a first time user. The Facebook-like blue and white theme complements the minimalist tabs. The first tab bombards you with all the updates which range from new pictures shown in SM Cinemas to newly opened restaurants in the selected mall. This tab also allows you to find deals and promos of specified vendors. The second tab is a fusion of location-finding tools and catalog services. Finding the exact location of an SM Store is now a walk in the park. What’s even more useful is the fact that you can locate a specific store using an indoor mapping system; or you can just simply hit the search field to instantly spot your favorite store. Stores are classified into four categories – dining, entertainment, services and shopping. Basically you can make you own profile page with your user name and profile picture. The fact that the app feels like a social media tool makes it more engaging to use. Your liked items will definitely be tallied under your profile. Likewise, there’s also a specified tabs for coupons and wishlist on your profile. Of course, you can also share these deals with your friends in Facebook and followers in Twitter which makes it even more fun. Plus, you can save your parking spot detailing the exact floor or wing you’ve parked your car. 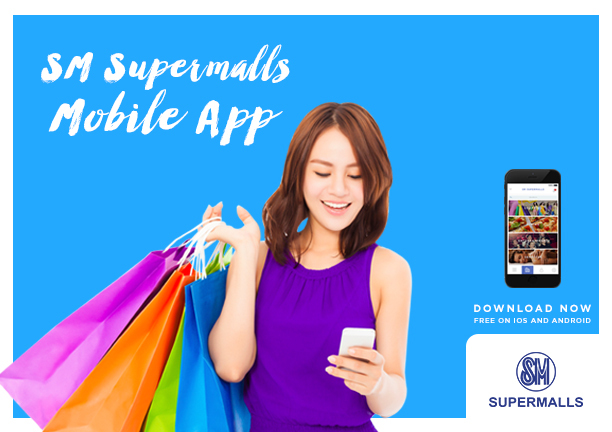 For an avid shopper and mall enthusiast, the SM Supermalls app is a welcome necessity. It covers a lot of basic stuff essential to the usual shopper. The indoor navigation is one of its selling points; this means that finding a store or a merchant inside the mall would be on-point. Of course, the deals, coupons and savings will be beneficial to consumers especially in the current shopping season. But to sum it all, the app is a good way for brands to connect with customers; likewise, it’s also the best way for customers to find better deals and generate savings.